Caravan Awnings by Davan Caravans located in Worle. 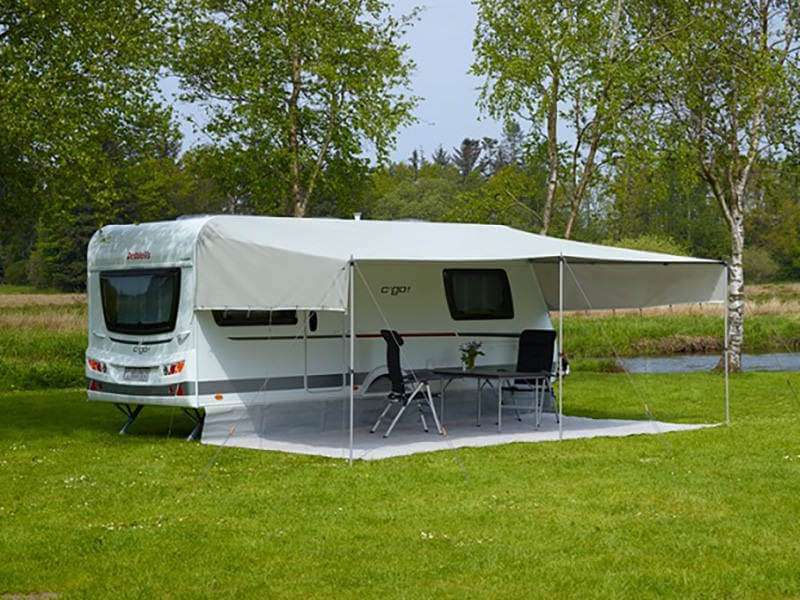 Introducing the various type of caravan awnings you can buy from Davan. Here at Davan Caravans & Motorhomes we have carefully selected from the many caravan awning manufacturers that we consider to be the best quality and value for money models on the market in 2018. We have a huge showroom with caravan awnings and porches on display, we also have a selection of tents to view. Full awnings are large external spaces that can be used for storage, dining and can even be partitioned off to make an extra bedroom for guests. Caravan Porch awnings are a great addition to a smaller caravan or motorhome. Porch awnings are the perfect solution for quick weekend breaks away without the hassles of setting up and pulling down a full awning every time. Porch awnings are available in a range of sizes and brands, use a range of materials which include steel, fibre and aluminium. 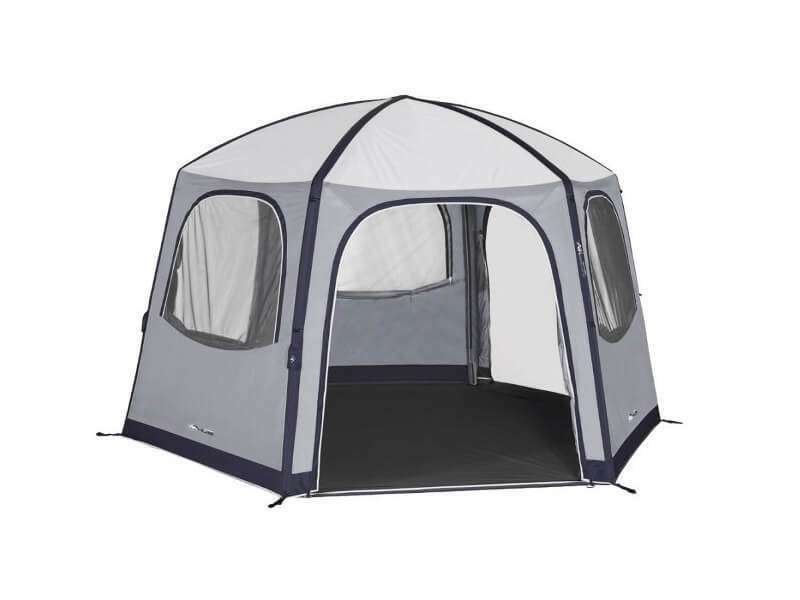 There is also the increasingly popular air awning that can be erected using a pump. Porch awnings for caravans provide an excellent solution to limited space of a smaller vehicle and are a great place to keep belongings sheltered, or provide another space to relax in. 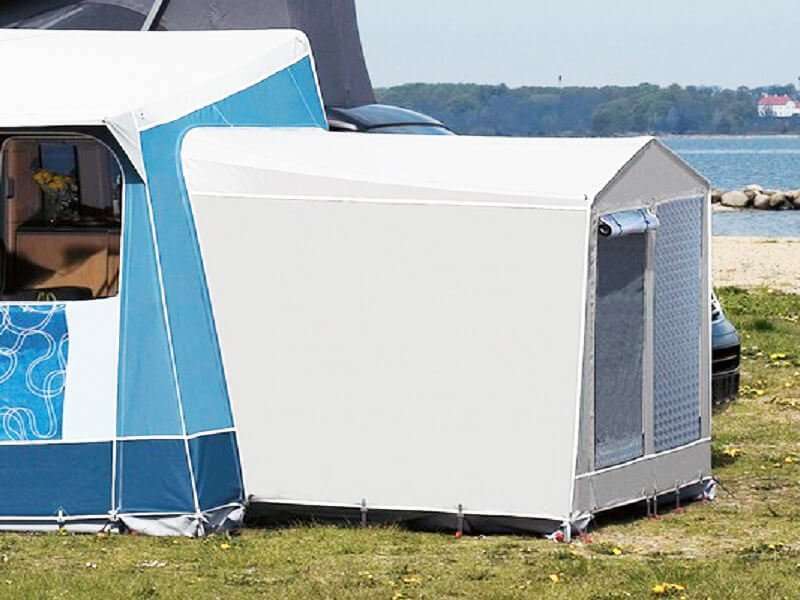 Top porch awning brands include Vango, Isabella, Ventura and Camp Tech. Caravan awning annexes add extra space to your caravan awning. Awning annexes are available for most full size awnings, a caravan awning annexe zips into the side of a full awning to make an extra room. 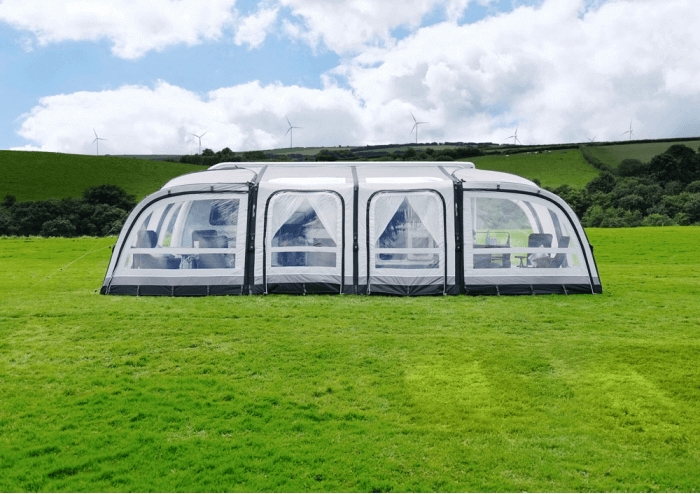 These awning annexe spaces are big enough for sleeping spaces for guests or to use as extra awning storage or comfortable spaces for pets. Caravan drive away and free standing awning. Drive away and Free standing caravan awnings. 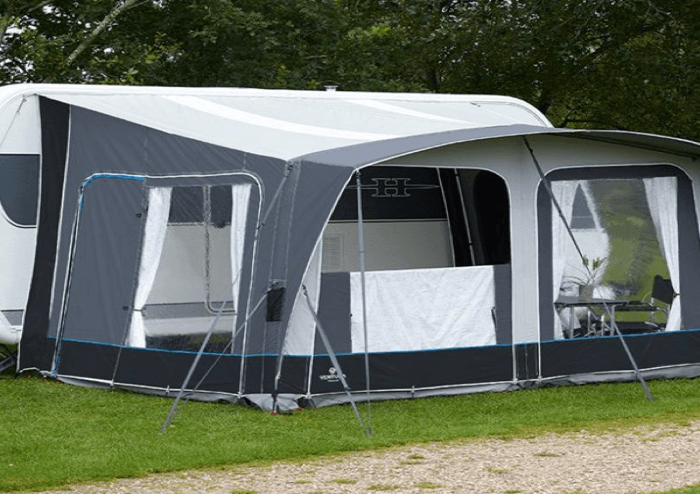 Drive-away Awnings are also known as Freestanding Awnings, they allow caravan owners to have full use of an awning, but with the flexibility of being able to leave the awning on site while you drive off for the day, allowing your pitch to be reserved and your goods can be stored inside the awning while you are away. Many people love the sun, however, on hot days shade is equally desirable. Caravan canopies are easy to erect and dismantle, they provide fast and effective shade from sun and showers, whenever and wherever needed.